More of an FYI so you’ll know what rules are changing this year. 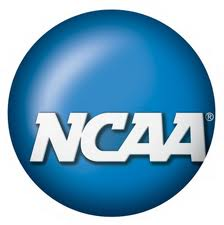 This document is intended to provide guidance on key NCAA rules for football regarding student-athlete safety. Questions regarding rules or officiating may be directed to Rogers Redding, NCAA secretary-editor and CFO national coordinator, at footballrules@ncaa.org. Targeting and Initiating Contact With the Crown of the Helmet (Rule 9-1-3). Targeting and Initiating Contact to Head or Neck Area of a Defenseless Player (Rule 9-1-4). No player shall target and initiate contact to the head or neck area of a defenseless opponent with the helmet, forearm, hand, fist, elbow or shoulder. When in question, it is a foul. The fouls have not changed from 2012 – only the penalty, which now includes automatic ejection. First-half fouls: Ejection for the remainder of the game. Second-half fouls: Ejection for the remainder of the game and the first half of the next game. Target—to take aim at an opponent for purposes of attacking with an apparent intent that goes beyond making a legal tackle or a legal block or playing the ball. Crown of the Helmet—the top portion of the helmet. Contact to the head or neck area—not only with the helmet, but also with the forearm, hand, fist, elbow, or shoulder—these can all lead to a foul. Defenseless player—a player not in position to defend himself. A kick returner attempting to catch or recover a kick. Players that are making a play on the ball. Instant Replay has the authority ONLY to review the contact itself. If the video clearly shows that the contact was not with the crown of the helmet or was not to the head/neck area, a targeting foul may be downgraded to unnecessary roughness. The 15-yard enforcement remains regardless.